We would like to thank our Partners and Supporters for their support in staging the Invictus Games Orlando 2016 for our wounded, ill and injured service members. Jaguar Land Rover is immensely proud to be the presenting partner of the Invictus Games Orlando 2016. 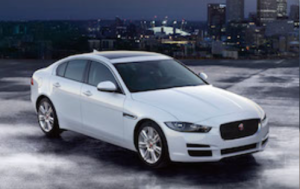 Jaguar Land Rover was the Presenting Partner of the inaugural Invictus Games, held to wide acclaim in London 2014. 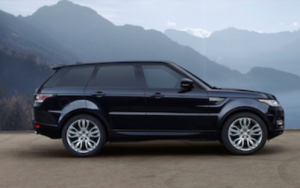 In addition to providing financial backing for the Games, Jaguar Land Rover is also committed to helping former military service members transition into civilian careers, as well as providing work placement rehabilitation programs for injured service members.With their pledge to once again support the Invictus Games by being the Presenting Partner for the Invictus Games Orlando 2016, Jaguar Land Rover demonstrates a commitment to service members and veterans from all participating nations and the lasting legacy of the Invictus Games. Walt Disney World® Resort is proud to host the 2016 Invictus Games. We celebrate the contribution made by our veteran Cast and look for opportunities to employ veterans at The Walt Disney Company with our Heroes Work Here program. At Disney, we recognized the commitment, dedication and the valuable leadership skills it takes to serve our country and strive to hire, train and support our returning veterans. For information, please visit: http://heroesworkhere.disney.com. Fisher House Foundation is grateful to continue it’s legacy of caring for the families of our wounded and ill service members long after they return home. Fisher House will proudly host more than 1,000 family members at Disney’s Coronado Springs as they cheer on their loved ones. Fisher House Foundation’s mission includes adaptive sports and family awareness; and the organization is committed to raising awareness of the power of sport in the rehabilitation process for these unconquered heroes. We are devoted to ensuring their family’s are included in this road to recovery. A family’s love is the best medicine and a family’s role does not end during their stay at a Fisher House. For more information, please visit: http://www.fisherhouse.org. Wounded Warrior Project support of the Invictus Games is part of the nonprofit’s efforts to fund veterans service organizations and opportunities that provide programs and services addressing the most pressing needs of our nation’s wounded veterans, their caregivers, and families. 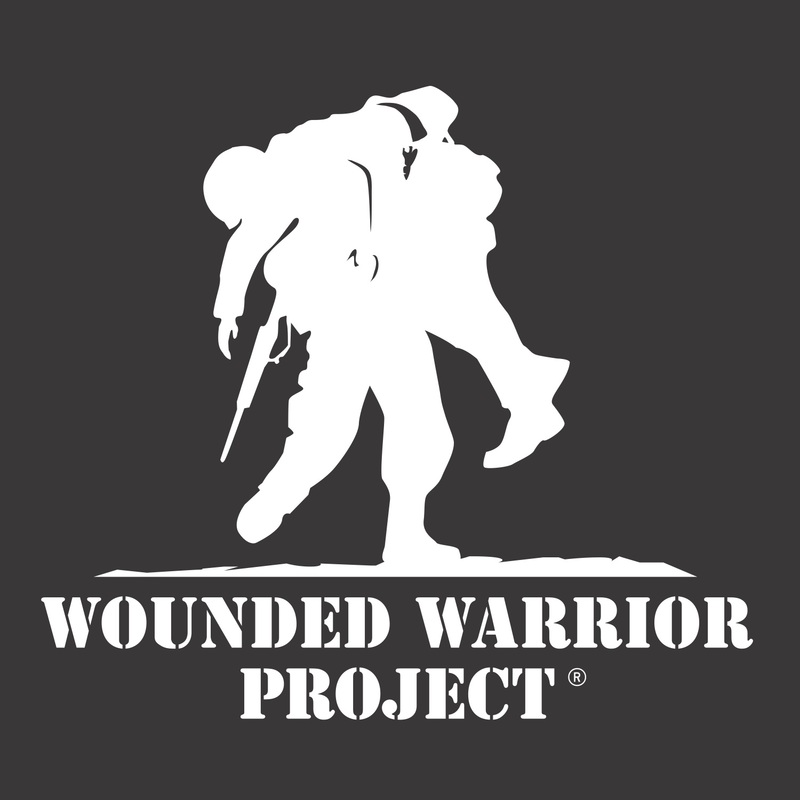 The mission of Wounded Warrior Project® (WWP) is to honor and empower Wounded Warriors. The purpose of WWP is to raise awareness and to enlist the public’s aid for the needs of injured service members, to help injured servicemen and women aid and assist each other, and to provide unique, direct programs and services to meet their needs, free of charge. WWP is a national, nonpartisan organization headquartered in Jacksonville, Florida. To register, get involved, or learn more, visit woundedwarriorproject.org. Fisher Brothers salutes the competitors participating in Invictus Games Orlando 2016. Since 1915, Fisher Brothers has embraced the core values of conservative entrepreneurship, long-term vision, integrity and philanthropy to advance the firm’s enduring achievements. Today, led by Arnold, Kenneth, Steven and Winston Fisher, the partners are proud to be carrying on a family business that has enjoyed nearly a century of uninterrupted growth. “The 2016 Invictus Games will give a special welcome to 500 competitors from 14 participating nations, and more than a thousand of their family and friends. For me, the Invictus Games is the perfect opportunity for people from the United States to say “Thank-you” to those homegrown and international heroes. As at the inaugural Games in London, we know everyone who attends this event will walk away forever changed by what they have witnessed. I know I was”. – Ken Fisher, Chairman of the Organizing Committee of Invictus Games 2016. For more information, please visit: http://fisherbrothers.com. At Sage we believe entrepreneurs are the true heroes of all economies and supporting them is our passion. We also want to do this in a way that means we can play a positive role in local communities. Through Sage Foundation we do just that; giving 2% of our 14,000 colleagues’ time, free Sage products for the non-profit sector, and 2% of our free cash flow to our communities and charitable causes around the world. Particularly close to our heart is how we can support those who have given their service to their country and our freedom. At Sage we are repaying our debt by supporting men and women as they build professional skills and start businesses after service. We are proud to be partnering with the Invictus Games for the first time as we embark on our journey to work with many special heroes around the world. Our global commitment is just getting started. Sage will be offering work placements to ex-military personnel who have left the military in the last year and are seeking to gain civilian work and developing a training and mentoring program, focused on developing skills required to achieve a successful, entrepreneurial and sustainable career. For information, please visit: http://www.sage.com/company/sage_foundation. The Coca-Cola Company is proud to be a partner of the Invictus Games Orlando 2016. Throughout our history, The Coca-Cola Company has maintained a longstanding commitment to support our service members. Coca-Cola began its support of U.S. military troops in 1941 during World War II when former Company President Robert Woodruff committed “to see that every man in uniform gets a bottle of Coca-Cola for five cents, wherever he is and whatever it costs the Company.” Today, the Coca-Cola system provides approximately 2.4 million beverage servings per day to active-duty members of the armed forces, reservists, retirees and their families. We support the core values of the Invictus mission and are proud to play a supporting role in helping make the Invictus Games a memorable experience for athletes, fans and communities all around the world. We are honored to raise a glass (bottle) to these incredible athletes. Cheers to a successful 2016 Games! For more information, please visit: www.coca-colacompany.com. Together we win. The journey of rehabilitation is different for every wounded warrior. Deloitte is proud to honor all those service members who have given so much for their country at this year’s Invictus Games as they discover their inner champion – and inspire others to dream and achieve. For more information, please visit www.deloitte.com. Experience Kissimmee is the travel and tourism authority for the Kissimmee destination located minutes from Orlando’s world-famous theme parks. In its role, Experience Kissimmee promotes the destination globally as the Gateway to Fun for leisure, business and sports travelers. Visitors also enjoy a host of amusement parks and dinner shows, natural adventures complemented by nearly 50,000 total accommodations among luxury resorts, well-known and comfortable hotels and motels, vacation rental homes and villas, and campgrounds. For more information, please visit http://www.experiencekissimmee.com. It is an honor for Capital One to support the Invictus Games and its courageous, inspirational and tenacious competitors from around the world. As a longstanding supporter of our military, Capital One is privileged to have veterans from every branch of service as colleagues, team members and leaders throughout the company. Skills and qualities that makes a person an outstanding asset in the military—strong work ethic, collaboration skills, discipline, leadership, incredible problem solving skills and the creativity to overcome obstacles—are precisely the kinds of qualities that make them so successful in the private sector. Capital One is committed to equipping our military associates with the resources, training and support needed to successfully transition to the civilian workforce. We also recognize that commitments to training and active duty take priority and we provide a range of benefits to support associates who continue to serve in the military. For the past four consecutive years, Capital One has appeared on Military Times’ “Best for Vets” list. For more information, please visit www.capitalonemilitary.com. Invacare Corporation (NYSE:IVC), headquartered in Elyria, Ohio, is a global leader in the manufacture and distribution of innovative home and long-term care medical products that promote recovery and active lifestyles. The Company has 4,900 associates and markets its products in approximately 100 countries around the world. For more information, please visit: www.invacare.com. Ottobock is honored to be an Official Supporter of the Invictus Games Orlando 2016 and to provide prosthetic and orthotic services to the competitors. As a global healthcare company, our mission to improve mobility and independence complements each individual’s drive to live—and compete—to the fullest extent possible. Over the past century, Ottobock has supported active military and veterans around the world, investing in research and development, addressing unique mobility needs, and supporting competitive an adaptive sports. For more information, visit www.ottobock.com. The Dow Chemical Company is proud to sponsor the 2016 Invictus Games. Dow has a long history of supporting and working with veterans through employment opportunities and community engagement initiatives. “We believe that veterans embody heroism and service, some of the noblest elements of the human spirit. This makes us proud to sponsor these Games and also to provide opportunities for veterans to work at Dow,” said, Pedro Suarez, President of Dow USA. At Dow, we know that those who have served in the military have a strong foundation of discipline, commitment and respect that serves them well in civilian careers. For this reason, Dow offers targeted tools and resources, specially designed to help match qualified U.S. military veterans with available job opportunities at Dow. And for those still serving, we strongly support the commitment to uniformed services through our military leave program. Dow also actively participates in multiple national initiatives aimed at hiring U.S. military veterans and providing additional support for veterans and their families – examples include the 100,000 Jobs Mission, Joining Forces, and the Military Skills Job Search that provides MOS/MOC code translators for our open jobs. These efforts help to address the national challenge of U.S. veterans becoming and remaining unemployed after years of military service. For more information on Dow and our commitments, please visit us at www.dow.com.